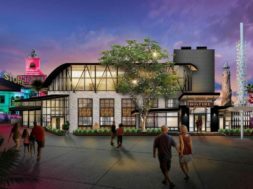 ‘Tis already the season – Universal is making the first announcements for the biggest annual event it throws, Halloween Horror Nights, and a number of eager, diehard fans are already making their on-site hotel reservations and are getting ready to scoop up their tickets. It’s a magical time. Except for those, perhaps, who will happen to be on-property for the festivities but who aren’t necessarily horror fans. We’ve already started to receive questions on the Orlando Informer Podcast or comments at our Facebook community to this effect – should I bite the bullet and just try HHN out, anyway? Is there anything at all to be done for the slightly horror-averse? 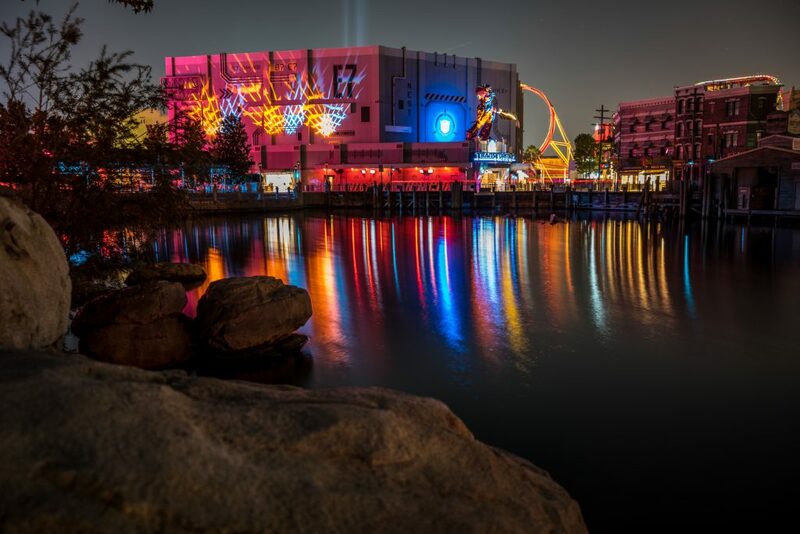 If you’re willing to lay down the cash for just one Horror Nights ticket for just one night, the odds are fairly good that you will find it a worthwhile endeavor. 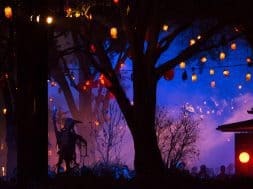 (Anything more than one date will more than likely be overkill and, therefore, not a good use of either your vacation budget or schedule – unless you suddenly find yourself converted and are now a member of the Halloween Horror Nights faithful, in which case the more nights you attend, the better!) Here are the reasons why. Scare zones, in contrast to haunted houses, are wide-open areas, which typically allow one to see where scareactors are at any given time and to prepare oneself for the inevitable confrontation. 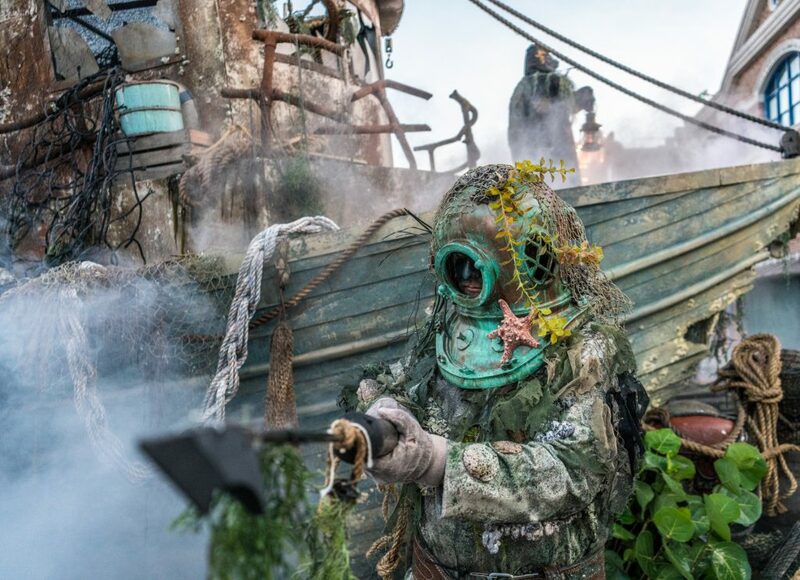 (Yes, some zones are awash in fog or other visually-impairing devices, and, yes, scareactors are still able to occasionally hide behind pieces of set dressing [or other guests], but the basic premise still stands.) This little fact, combined with the lack of any sort of intense claustrophobia that the mazes excel at producing, really can make all the difference between a horror experience that you can’t process to one that is manageable, even if just barely. But there’s another, arguably more important reason to give Universal Studios Florida’s various scare zones a spin: given their topographical nature, it’s easy to shuffle off to the side, grab a seat on the curb or a step, and just people watch (something which many theme-park visitors already profess to enjoy doing even when it’s daytime and there are no freaky situations playing out in front of them). Watching individuals shriek in fright literally never gets old, and when combined with the masterful decorations, costumes, and lighting effects that are liberally used in these areas, the whole experience plays out like some sort of stage production (this is also true if a zone veers more into humorous or campy territory, like last year’s Invasion! did, instead of going for straight scares or gore). Indeed, if you’re not careful, you can easily find yourself spending an hour or more engaged in the pastime – which could very well mean that you’ve just paid for the price of admission already. Doing an entire evening of straight-up scares can be a bit much, even for the grizzled horror veteran (or for his feet!). 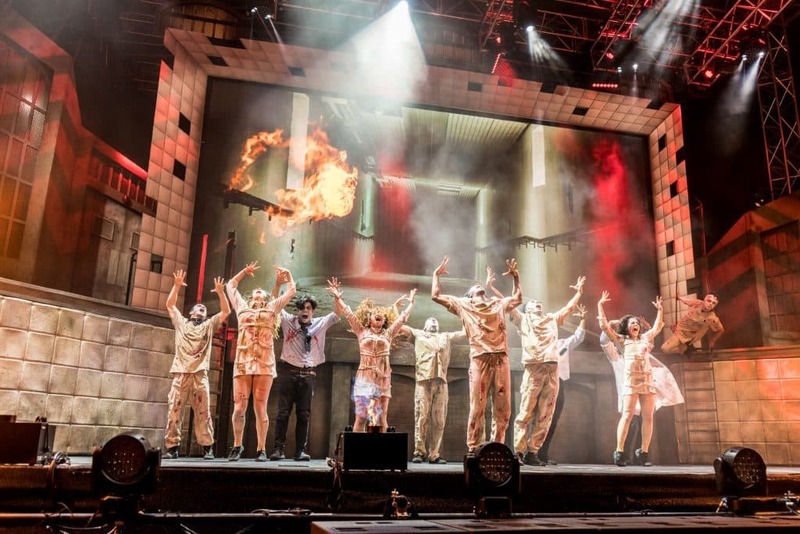 This is where the stage shows not only come into effect, but can also be lifesavers – being given an excuse to sit back and relax, even for a short while, is never a bad thing in a theme park, and the fact that one is still being inundated with the atmospherics of Halloween Horror Nights makes it all the more rewarding. There’s also this: although not exclusively true, the annual event’s productions tend to be more on the light-hearted side – or, at least, not veer toward the gruesome. The long-running Bill & Ted’s Excellent Halloween Adventure was more socio-political spoof than scare-fest, providing scantily-clad dancers alongside the various gags from that year’s pop-culture-in-review. And while Bill & Ted, unfortunately, ended with last year’s outing – and while we don’t know what shows, exactly, will be awaiting us for this year – there are other performances from previous HHNs that prove the point, such as the Rocky Horror Picture Show screenings (replete with all the interactive elements that have accrued over the past 43 years), which Universal periodically throws into the proceedings, or Academy of Villains, a professional dance troupe that provides a more avant-garde spectacle to the night. All of these experiences, when available, are extremely enjoyable for the right audience, and none of them are at all possible during the boring, non-Halloween-season day. 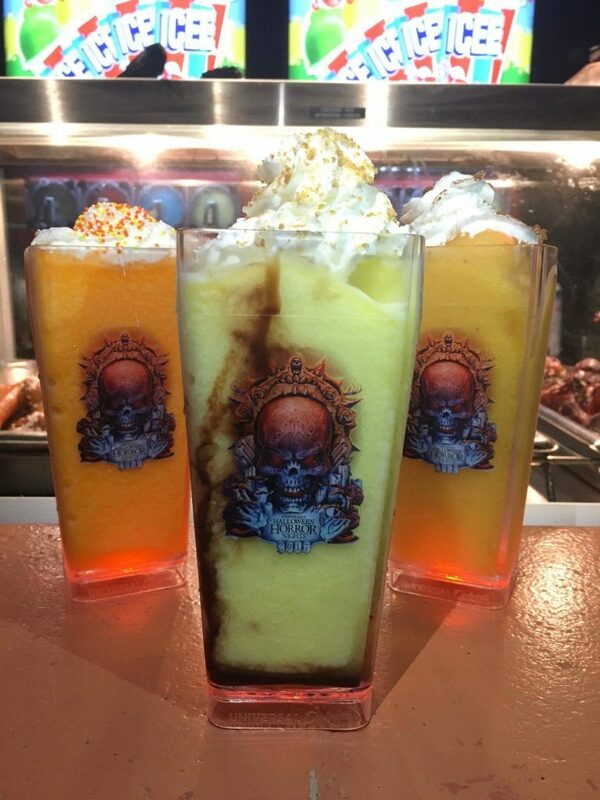 Providing exclusive food and beverage offerings has become the new gold standard of themed experiences ever since Universal unveiled The Wizarding World of Harry Potter – Hogsmeade back in 2010, and the company has learned to especially double-down on this element in recent Halloween Horror Nights, as well. Dishes like pizza fries and the ever-popular donuts-on-a-stick, along with such liquid delights as last year’s brand-new Candy Corn, Pumpkin Spice, and S’mores frozen drinks, provide a whole extra layer of exclusive content at an annual event that is already predicated on them. In this way, HHN has started to slowly become more and more like Mardi Gras, with its emphasis on New Orleans street fare, which only serves to reinforce your sense of fun – and your willingness to scarf down some yummy (if nutritionally questionable) goodies. 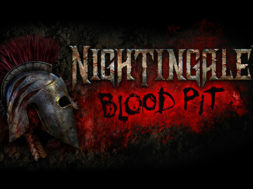 Is this enough by itself to make the purchase of a one-night Horror Nights ticket worthwhile? Almost certainly not. 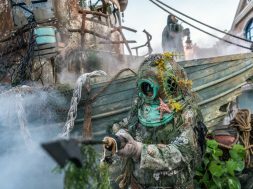 But when combined with the other items on the list, it can prove to be the icing on the special-night cake – especially if you cross our entries and, say, take your delectable treats with you to a scare zone to observe the scareactors doing their thing. There’s something about walking down the streets of Universal Studios Florida on an event night, even if you’re out of a scare zone’s borders and away from a haunted house’s entrance – there’s this electricity in the air, this charge radiating throughout the entire park, that isn’t there any other time of the whole year. More than the scareactors and the lighting effects and the music and the spectacle of the stage shows, it’s this pervasive atmosphere that is its own sort of magic all by itself, one that is absolutely worth experiencing firsthand for any theme-park-nerd and one that will greatly enhance your enjoyment of all the other entries on our list. Even better, this electric current tends to flow out of Universal Studios Florida and wash through CityWalk, as well, despite the fact that the dining/shopping/entertainment district doesn’t participate, technically speaking, in the seasonal festivities at all (unless one counts the presence of Horror Nights attendees looking to land their post-event drink or bite – and recounting their war stories as they do – that is). This means, of course, that grabbing a drink or, even, just walking throughout the complex isn’t quite the same as at any other time of the year, either – it’s almost as if all of Universal Orlando Resort is conspiring with you on a night of magical transformation, one that will be gone forever afterwards (since every HHN is a different configuration of experiences and attractions). If you’re a devotee of theming, generally, or the parks, specifically, then you practically owe it to yourself to give the whole experience at least a try – yes, even if you will revert to your horror-free ways once you arrive safely back at your home. 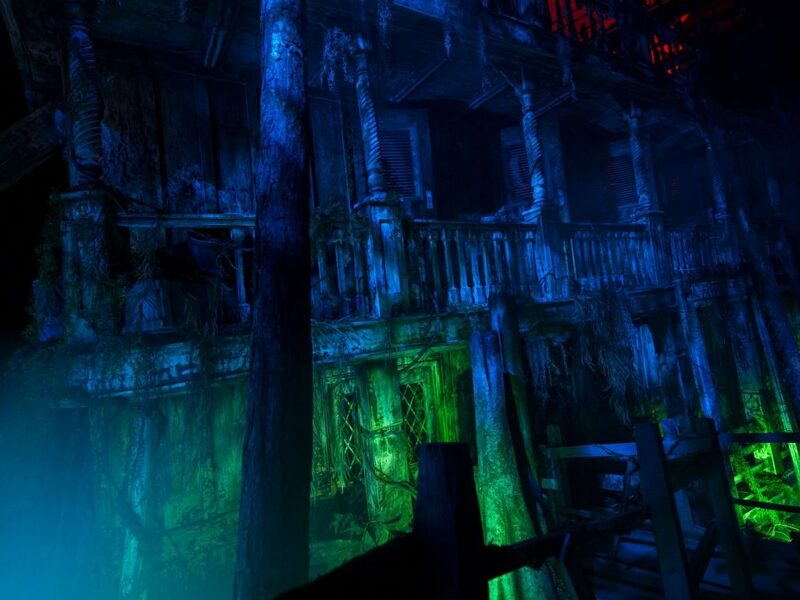 Since you’re at Halloween Horror Nights already, and since you’ve partaken in some unique grub and slowly acclimated yourself with the scare zones and have started to let yourself fall in love with the absolutely exquisite overall atmosphere, it just may be time to take that next step: trying out one of the haunts for yourself. Yes, okay – they are scary, and, even beyond that, they’re extremely intimidating, no matter what their theme or fright level may be. Here’s the thing, though: some years feature some mazes that aren’t quite as bad as the others, whether they lean more towards the comedic side (like last year’s Ash vs. Evil Dead) or focus more on creating a top-notch, immersive environment (which just might be what’s going on with this year’s Stranger Things). If you happen to land at a particular event that features this type of house, taking advantage of it might be a terrific idea. And there are also a few tricks that you can employ to mitigate the scariness of the haunt, regardless of what kind it may be – use the person in front of you (preferably someone you know) as a shield, allowing him to absorb the brunt of the scares, for example. Or put on your best poker face, not betraying how scared you may be; the less you emote, the more the scareactors will pass you by and look for juicer prey. Who knows? 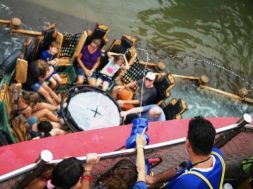 You may find yourself able to handle the experience, which means a whole new world has just opened up to you, exponentially increasing your enjoyment and appreciation of the theme parks. Now that is a gamble worth taking, right?